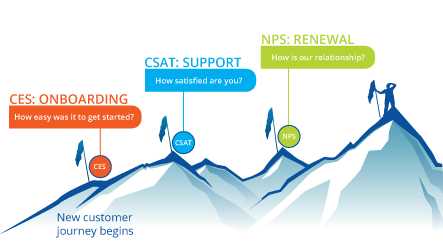 What is NPS and why is it relevant now? Christie: A really commonly used acronym in customer feedback is NPS, right? Could you break that down for us? What is NPS mean and how does your company handle it? Deepa: NPS is Net Promoter Score. Basically, it is a very handy metric that helps you figure out which of your customers are promoters, which of them are unhappy with you and therefore, detractors, and which of them are passive. 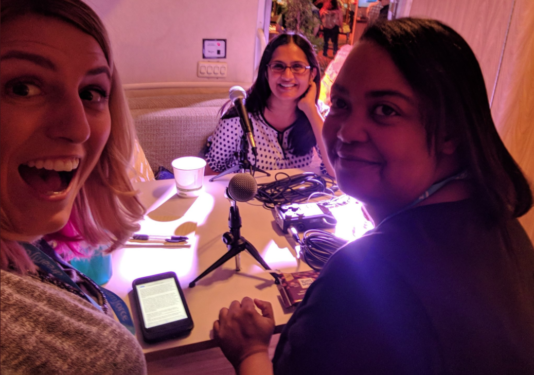 Net Promoter Score is driven off of one very powerful question, which is: “How likely are you to recommend Dreamforce to a friend or a colleague?” Based on their rating, you break your customers down into those groups. You also ask your customers for open-ended feedback, “Why did you give us the score that you did?” Based on that feedback, you can make changes to your product, your team process, or anything. 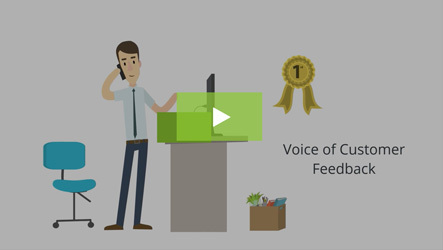 It just brings the voice of the customer into the front and center of decision making. 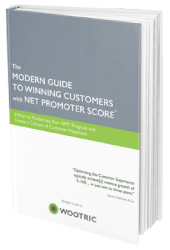 Christie: Net Promoter Score has been around for a while? Deepa: It’s a well-studied metric that came out of Bain Consulting , maybe 15, 20 years ago. Rigorous, scientific, lots of studies. Christie: You’re bringing it into the future. Into the present. Deepa: That’s right. I think the key insight with which I started Wootric was that there was a lot of survey fatigue. Customers get asked to respond to surveys all the time. Rather than ask them to deal with email surveys with NPS plus 24 other questions — I’ve never responded to any of those — we brought in the concept of an elegant micro-survey that lives within your application that will take your customers no more than a second or two to respond to. We also use our artificial intelligence to ask you the right question at the right time, and on the right device so you’re never getting distracted. You know how sometimes you’ve forgotten completely about what you did with a company or product and then you get an email survey days later? That doesn’t happen. We’re all about keeping the experience for the customer beautiful and worthwhile. Christie: Are you asking the traditional NPS question? Deepa: We are. The analytics only work when you stay true to the methodology. Some of the things that happens are that people use NPS in casual ways, they change the question, they ask either too often or they compare themselves with other people’s scores, which may have been asked with a different methodology. We stay true to the original methodology and help you build a program to continually keep a pulse on your user base. Christie: Do you ask other questions too then? Deepa: We do. So, NPS was our first product and it basically helped us get to product market fit. We are now considered best in class for what we do. We have since expanded our platform to other rigorous metrics, like customer satisfaction (CSAT) and customer effort score (CES) which, for example, would let you figure out how difficult it was for your customer to onboard into your SaaS product. Deepa: Once the feedback comes in, our analytics engine now uses machine learning, powered by Google Compute Engine to extract insight. We look at all of your customer conversations — your Salesforce conversations, your service desk conversations — all of it comes together in our platform and we will tell you, “This past quarter, these are the top three things that your customers are talking about.” Just by moving the needle here or there, you’re going to see an uptick in the customer happiness. Obviously, happier customers means better retention, better loyalty, and it affects the bottom line. 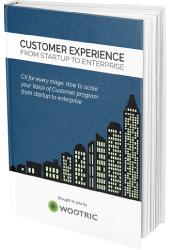 Learn more about Wootric CXInsight™. Who should use Wootric and how? Arlan: Is there a particular type of company that you think should be using this? Arlan: Right! Absolutely. Is there one that you seen it work so immediately that it’s compelling? Deepa: I will say that we went to market focused on SaaS companies. This resonates really well because your SaaS users are in your product all the time, interacting, getting insights out of it. We also shine with media and E-commerce. Arlan: Does this work in social media or is it just something that someone has to be in the app to use? Deepa: We are cross-channel. This means you can send your customer a NPS survey via SMS. Or, you can do it in the application. You can use email if that is the only way to reach your customer. Social media surveys? You can use us to collect data through that channel, but I would encourage businesses not to. I think social media is a really good opportunity to connect one-on-one with your customer. Probably not a great time to ask them a survey question. That’s just my feel for how you want to keep that interaction going. Christie: Can you give us an example of how one of your customers has used Wootric and what outcome it had for them on their business? Deepa: Sure, I’d love to! 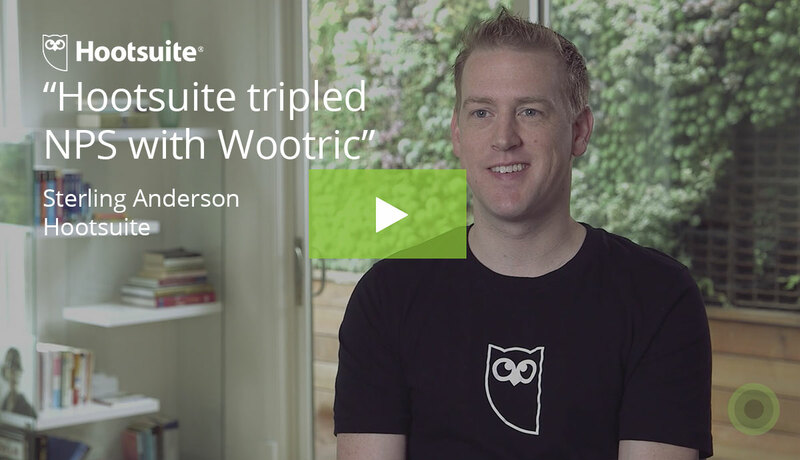 Hootsuite, a social media company uses Wootric to measure their customers happiness. Hootsuite has us inside of their product. We help Hootsuite poll their customers for NPS, maybe every quarter. Based on the results that come out of that and our analytics, this actually goes to the CEO of Hootsuite and he prioritizes one effort for the next quarter, based on the feedback that comes in through our system. This helps Hootsuite differentiate itself from its competitors. They’re considered to be the most customer-centric of all the social media platforms. I think it really helps them stay ahead. Christie: Can you tell us more about you? What made you decide to start this company? Deepa: Well, this is my second foray into entrepreneurship. I was actually an early software engineer at Salesforce. The first female engineer here, in fact. Arlan: That’s a mic drop if I ever heard one. Deepa: Right before I founded Wootric, I ran a bagel company called Schmendrick’s Bagels, which I loved. It was a fantastic experience, but I had to close the business because I discovered I’m very gluten intolerant! Deepa: Yes. Choose your passion carefully. Arlan: We need dramatic music to play, right there. That was a twist that was not expected. Deepa: Yes. I decided to go back to my first love, technology. I discovered this space, customer happiness and customer feedback, through an interview with the chief marketing officer of New Relic. It was a difficult problem for him and I loved the space. We’re all customers, you know. I want to give feedback, but nobody ever listens to me. I never feel listened to. I wanted to dive in and make this a better world for businesses trying to please their customers. Christie: Okay. How big is your team? Deepa: We are 15 strong, but the team is led by myself and my mighty co-founder, Jessica Pfeiffer. Jess brings the sales and marketing chops and I’m the product/operations side of the company. Arlan: What’s next for you? Deepa: We will be raising, hopefully, a Series B early next year. I’m very excited. We are there in terms of all of our milestones. I’m really, really psyched because the big picture and vision are coming together. The product has basically gone from a little NPS tool to a full customer feedback management platform. Our salespeople are killing it. We’ve had our best quarter so far. Helped, no doubt, by our Salesforce integration and becoming an ISV partner. Deepa: Go Salesforce! Our team is nicely rounded out. We have a fantastic CTO, Chief Customer Officer — everything is lining up nicely for a Series B fundraise. I am excited to go kill it.